I saw some pictures of pine beds in one site and can’t help but remember the house I grew up in. The flooring on the second floor of our old house and our bed were made of bamboo strips. The bed, which we call papag, brings so many memories as a child. During summer months, my cousins and I would play on the bamboo bed, we would eat our snack and take afternoon nap there. I rarely see families who use bamboo bed these days. Bamboo beds nowadays are more stylish and a bit expensive compared to our lowly papag in the 70’s. 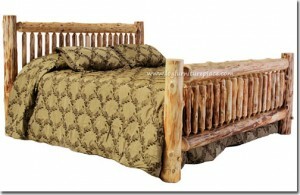 This entry was posted in Home is where the heart is and tagged bamboo bed, papag, pine beds on December 22, 2010 by Yami.